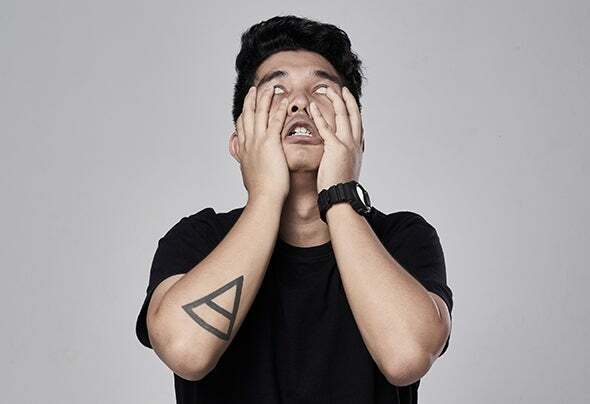 Satathon Suwandee (born December 30, 1991) who performs under the stage name Startron, is an Thailand DJ, Muisc-Producer and Remixer.I started during 2011 and released first single named “Waterwaves” on March 2015, which it wasranked first on the Skink Demo Submission by Showtek‘s weekly hit and that’s is the beginning of me. I was later supported by many DJs so the Discovery Music, a Korean record label, approached me. Then, on April 2015 I produced another single named “Rave” and signed a contract with Discovery Music, This single was published for sell in many webpages such as Beatport. After the single “Rave” was published, Startron start his tour in several nightclubs and events, On December 2015, Startron was produced a single named Meteor with Font da Diamond and published it under the Discovery Music.On December 2016, I got a chance in perform on 808 Festival 2016 electronic music festival that was held at the Nongnooch garden, Pattaya, which has Hardwell, W&W, Carnage, Dillion Francis and Zedd as headliners, On December 2016, I was published Triton with Discovery Music and on December 2016On January 2017 I was produced a single together with South Diamond named “Shake Up All” and was published under Discovery Music record label on February 2017. This single reached the highest rank at the 28th of the Beatport Bigroom Top100, which received an extremely good response.On April 2017, I got a chance to perform on Together Festival 2017, which was held at Bitec Bangna Bangkok and has Armin van Buuren, Axwell Λ Ingrosso, Martin Garrix and Marshmello as Headliners, On May 2017, I got a chance to perform on b2b with Ninegod at Warp Music Festival 2017, which was held in Pattaya and has Excision, Zeds Dead, Deorro, Dyro and Sam Feldt as headliners, On July 2017, I released "Screaming From Hell" and released “Phayayen EP” on August 2017 and On October 2017, I was produced "Mosh Pit" with South Diamond and Ninegod and published it under the Discovery Music.